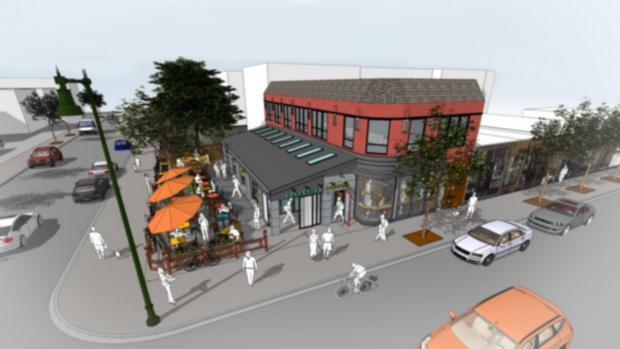 A rendering of Colectivo Coffee's first Chicago cafe at 2530 N. Clark St.
LINCOLN PARK — Preparing to open its first Chicago outlet, Milwaukee-based Colectivo Coffee has applied for a liquor license including an outdoor patio. Since it was first announced last June, Colectivo has planned to sell its coffee and baked goods at the former Einstein Bros. Bagels at 2530 N. Clark St., but also its Colectivo Keg Co. house beer. 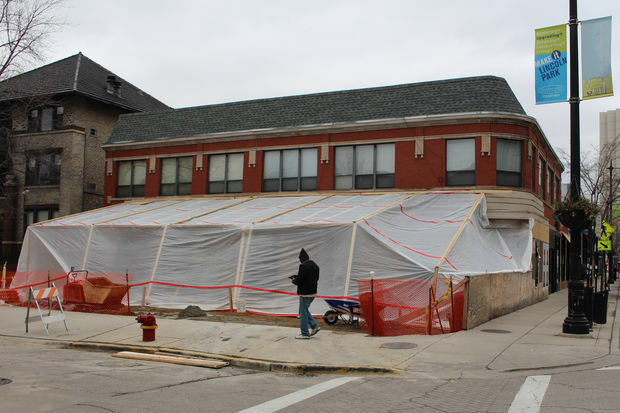 While completing construction on its Lincoln Park beachhead, the firm went ahead with those plans Tuesday by applying for a liquor license for "incidental use," meaning alcohol sales won't be the primary source of revenue, and also seeking to serve it on an outdoor patio. The application was posted on a city website run by the Department of Business Affairs and Consumer Protection. Ald. Michele Smith (43rd) said Tuesday it would be subject to the usual public input and community meetings to gauge support for the liquor license. The store is currently under construction, and Colectivo expects to open in late spring. The location was notable for having a parking lot, a rarity on Clark Street. Colectivo clearly intended to put it to use with the outdoor patio. Founded in 1993, Colectivo is an independent coffee company specializing in close relationships with growers and also roasting the beans by hand. It also sells and distributes its own baked goods under the Troubador Bakery brand.